The captain was also charged with fleeing the ferry and abandoning passengers, a violation of the Act on the Aggravated Punishment of Special Crimes, and negligence resulting in the death of passengers, a violation of the Criminal Act. If the captain is ruled guilty of all of those three charges, he could receive a life sentence. The Sewol was equipped with 46 lifeboats that could each hold between 10 to 15 people. The lifeboats should inflate automatically once their pins are released. But only one of them functioned. This has led to a great deal of criticism and bitterness, with the Tokyo bureau chief of the JoongAng Ilbo penning an editorial comparing Korea's emergency preparedness unfavourably with Japan's and writing things like "In Korea, you die if you follow orders and save yourself if you don't" and "Let’s give up the title of "developed country" for now." As for blame, the current administration getting lambasted in some quarters, while elsewhere criticism falls upon the "opaque, undutiful and craven corporate" sector. At the same time, stories of selflessness have been brought to light as well, including a crewmember and two teachers who died trying to save others. 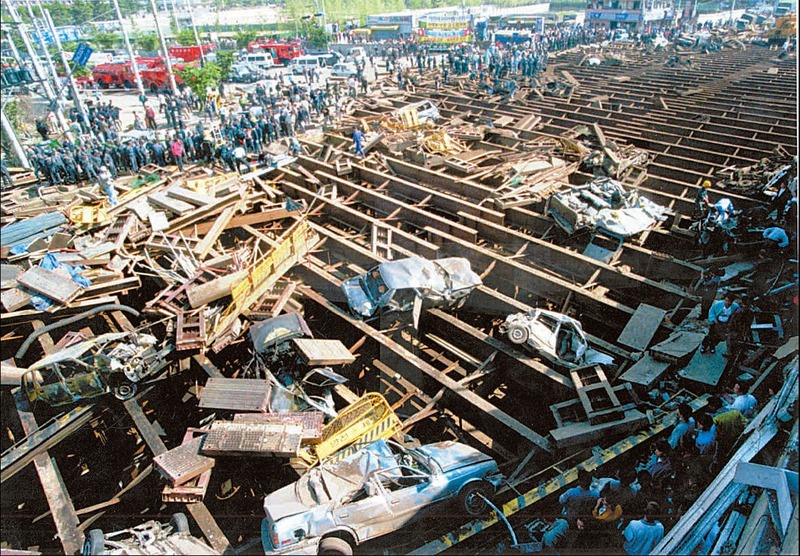 489 results for 세월호 삼풍백화점, or the collapse of the Sampoong Department Store on June 29, 1995, which killed 501 people. 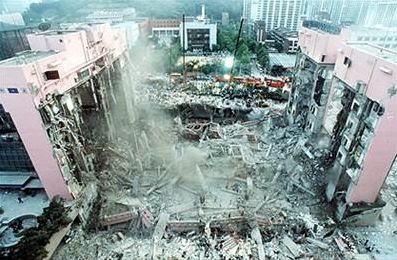 It's not surprising that collapse of the Sampoong Department Store in 1995 and the Daegu Subway fire are the most referenced, as they both resulted in a catastrophically high number of deaths and were both either immediately due to or greatly exacerbated by incompetence and negligence. 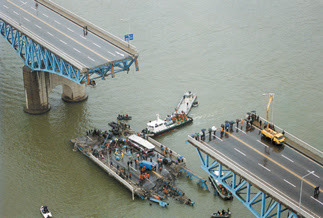 These characteristics are also found found in the other tragedies, but the collapse of the Seongsu Bridge resulted in fewer deaths, while the Daegu gas explosion wasn't, I suppose, exacerbated by negligence, just caused by it. 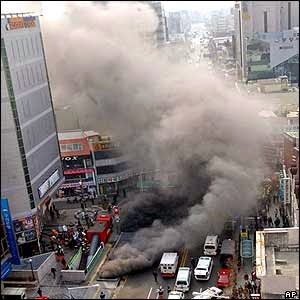 With so many students killed, however, I can't help but wonder if the reason it hasn't been referenced so much is because it took place in Daegu, and not Seoul, though the references to the subway fire there would seem to suggest that that isn't the case. 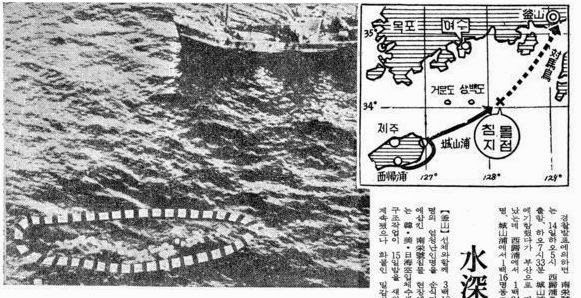 241 results for 세월호 서해 페리호, the October 10, 1993 sinking of the "passenger liner Seohae Ferry... off the southwestern coast of North Jeolla Province, killing 292" out of 362 passengers. The ferry was carrying 141 more passengers than the 221 it was meant to carry. Initial reports also stated that there were far less casualties than there actually were. 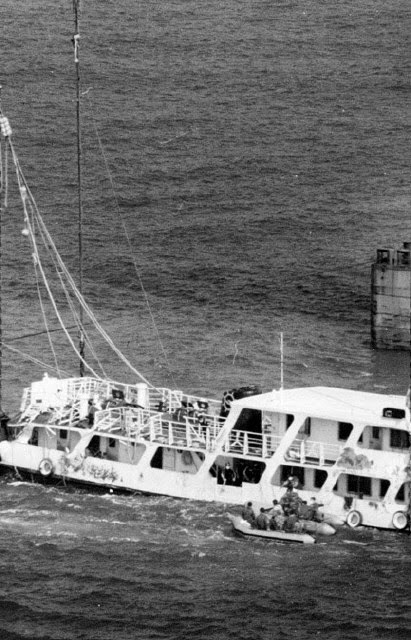 160 results for 세월호 남영호, the December 15, 1970 sinking of the passenger liner Namyoung, sailing from Jeju to Busan, off the coast of Yeosu, killing 323 people out of 338 on board. According to this article, it was meant to carry 130 tons, but was actually loaded with 230 tons of cargo. Something that weighs more on my mind is the effect so many deaths will have on the residents of Ansan, which is relatively small with a population of 76,000, as well as Danwon High School in particular. According to this article, 325 11th grade students went on the trip, and 13 stayed behind. As only 75 students have been rescued - and there's little hope at this point more will be - that leaves only 88 out of 338 students from that grade left in the school. Last week the first funerals were held, marking the beginning of what will be hundreds of funeral processions. As well, only 3 out of 14 teachers were rescued, and one of them, the vice-principal, later committed suicide. To have 250 students and 12 teachers suddenly absent from a single grade is a loss that is almost unimaginable. 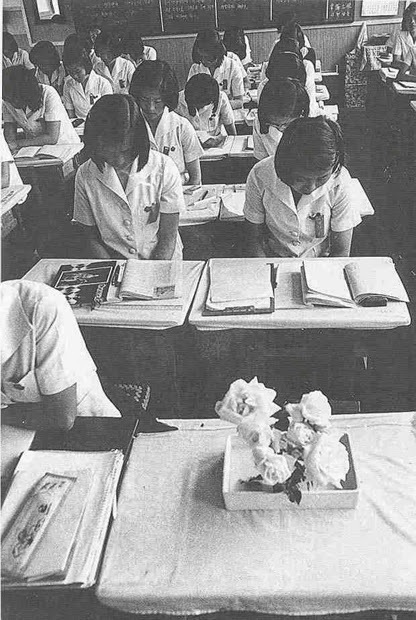 What happens when there are more empty desks with flowers on them than students, and not just in one classroom, but in ten or more? trying to imagine that loss in a school is heart wrenching. The survivor's guilt will probably be with most of them for the rest of their lives. Still, I wish the vice-principal hadn't killed himself, as he could provide much needed leadership and counseling, and send a stronger message to those who survived.